… this morning, I stumbled upon a study on the impact of hard water on the hair and suddenly, I’m fully recommitted rewarding my hair and skin with soft water once again. We already know that hard water chemical deposits on the hair create a barrier layer that prevents moisture penetration and retention. This mineral absorption could impact the structural properties of the hair without our knowledge. But did you also know that your hair type can determine how much mineral content is absorbed into the strands? Let me explain what I mean by hair type. I’m not referring to curl texture but the condition of the hair. I’m talking about the condition of the hair. According to the article I read, “the popularity of hair treatments that alter the chemical nature of hair, e.g.. coloring, bleaching, and relaxing, suggests that even more consumers are susceptible to an uptake of mineral absorption if they are exposed to water with any degree of hardness ions.” What this means is that has been chemically altered was found to absorb more minerals from water versus virgin hair. Although they didn’t mention this in the article, I suspect that damaged virgin hair (from heat or other factors) could attract more hardness ions than healthy virgin strands. 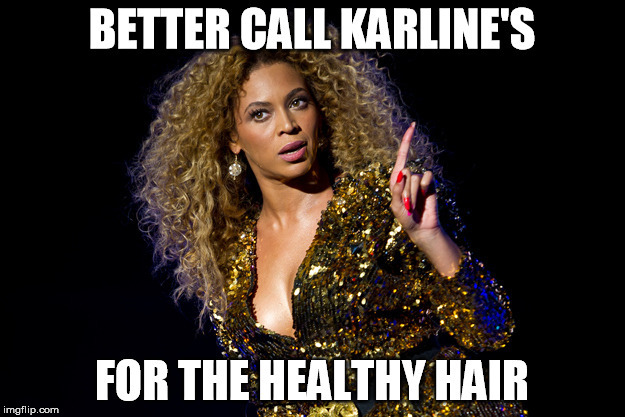 For a healthy hair opinion, #AskKarlinesSalon.